From pediatrics to geriatrics, from sore throats to surgery, from well visits to urgent care, and everything in between, SouthCoast Health is your comprehensive resource for better living. 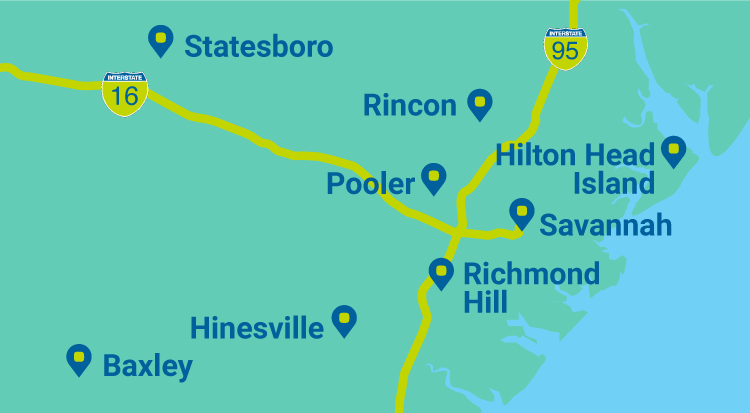 With more than 120 healthcare professionals encompassing more than 20 specialties and services, we are committed to the health and wellness of the communities we serve across the Lowcountry and Coastal Empire of Georgia and South Carolina. We are happy to partner with you and your family on the path to Total Wellness for Life! Your primary care provider is often involved in your care for a long time, so it's important to choose the best fit for you. Our valued existing patients can proceed directly to our Patient Portal. SouthCoast Health's Urgent Care Services will be CLOSED Sunday, April 21st for the Easter holiday. SouthCoast Health surgeon Dr. Christa Jillard sat down with WTOC Mid-Morning Live to discuss thyroid health, conditions, and treatment options. SouthCoast Health cardiologist Dr. Akinniran Abisogun appeared on WTOC Mid-Morning Live in honor of American Heart Month!